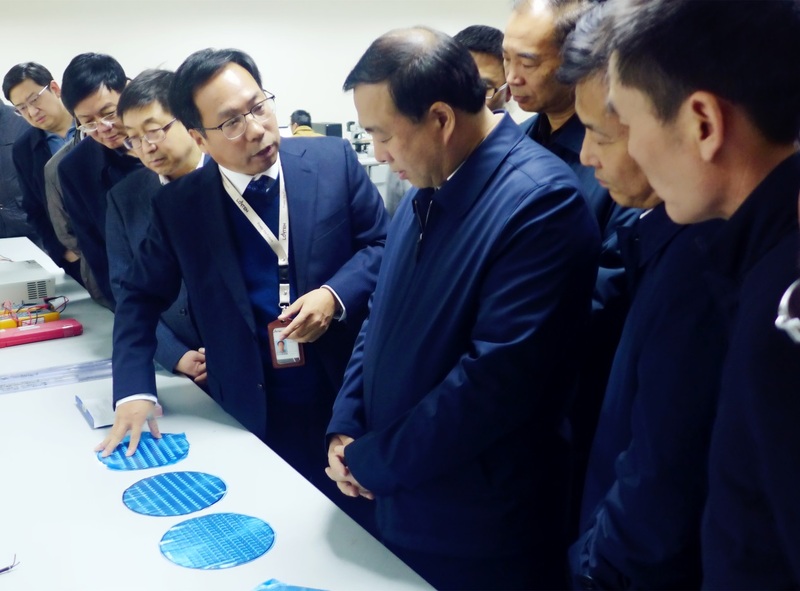 On July 1, Vice governor of Shaanxi province Jiang Feng, the CMC Secretary Jia Shenglin ,the CMC director Yang Anding, the leadership of Shaanxi Provincial Industry and information department and the Department of science and technology, came to Xi'an lonten and research to guide the work. Company chairman Mr. Xu, deputy GM, Dr. Chen, CTO of Dr. Zhou expressed a warm welcome to the guests . 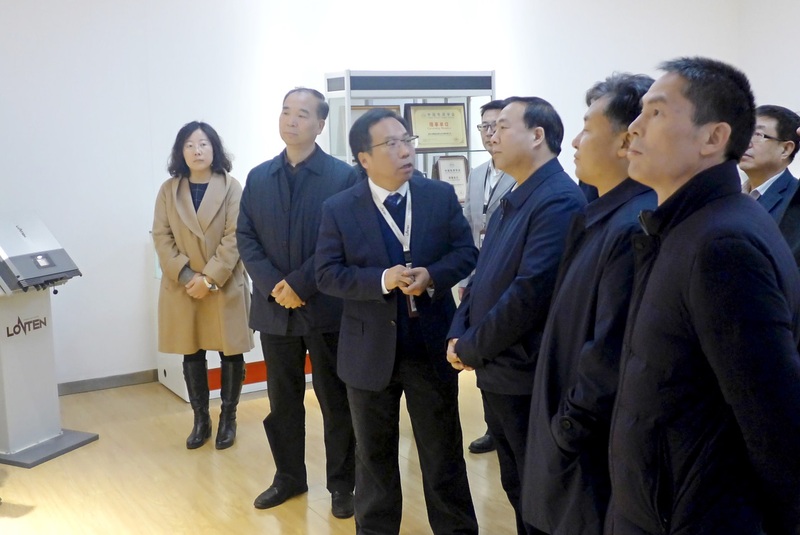 Vice governor Jiangfeng, visited the company products and patent exhibition hall, production line, laboratory research and development, technology application center, through asked the production and management, he got a detailed understanding of the difficulties encountered in the production and operation of enterprises and development. Chairman Xu Xichang reported the basic situation of company, companies advanced technology of the leading products super junction, develop countries industry standard, companie are lining up to tap the stock. 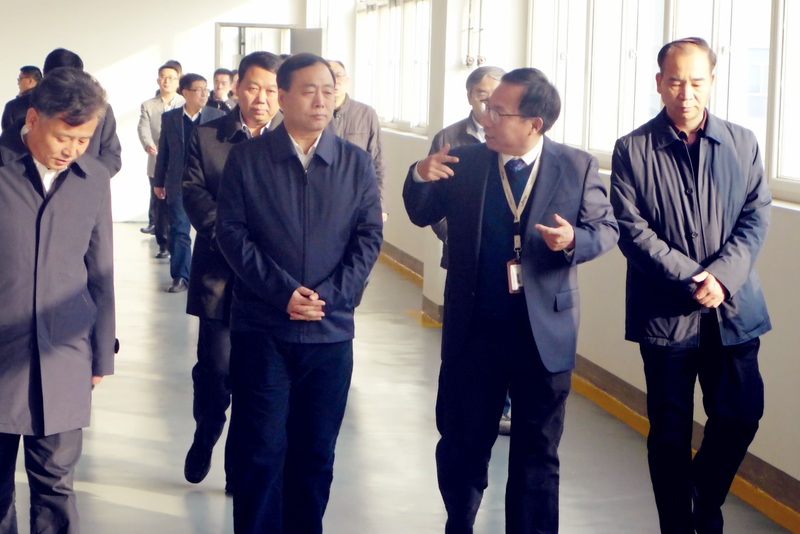 Vice governor Jiang Feng affirmed the talent advantage and operation mode of lonten company. He encouraged the company to continue to strengthen product innovation, give full play to the advantages of scientific research, occupied the commanding heights of industry technology, to enhance the core competitiveness; to actively adapt to the market demand, looking for partners, province the same industry chain related enterprises to strengthen communication and cooperation, continue to strengthen the development and design of new products, accelerate the market development, using the open idea innovation to promote industrial development.